Security managers, particularly those that belong in large companies, are always on the lookout for new security products and security systems available in the market. The growth of their business must be protected. Small businesses often do not place high value in security systems – particularly access control systems or high security locks like electronic keypad door lock. For them, these are not necessary because they are not as big as these organizations. But did you know that growth may not happen to you if you do not protect your business from thieves and burglars at this early? You may not know it but stealers may be the people you are with inside your building and they are taking your products. These are not the individuals assigned to the warehouse (they will not steal because they know they will be responsible for the losses), but these are the people from the other departments. If only you have access control even in the warehouse, you can avoid this incident. Locksmith San Diego performs installation of electronic door locks. We have been providing this – and other locksmith services – in the city. Our expert technicians can explain to you everything about this type of high security lock – from the features to the benefits. You can afford our prices because these are reasonable; we do not even make you pay for hidden charges. Talk to our customer representative at (866) 306-8557 and let us handle all your concerns and help you avoid losing your investments to thieves. 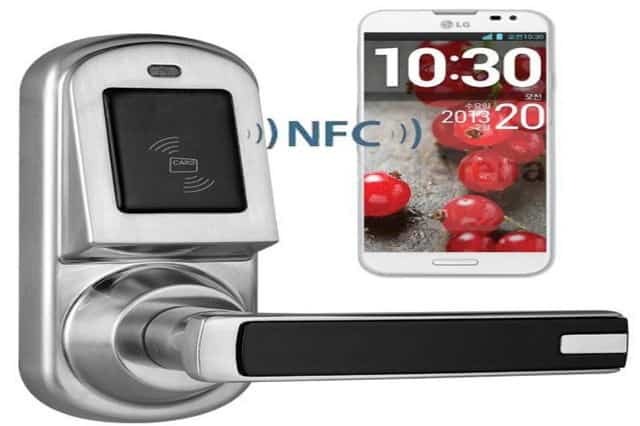 Keyless – You do not have to worry about keys anymore. You no longer have to worry even if your daughter comes home earlier than you are or your trusted worker needs to get something in the warehouse and you have not arrived yet. With the use of codes, all of you can access the premises with proper authorization. Being keyless is even more convenient when you went on a trip and your mother comes to your place and will need to borrow something from you. You can just give her your code and in an instant, she can come in. Of course, this will be risky so the moment you go home, you may choose to change your code. Access Control – It being one of the devices used for access control systems, you know that you can now control the identification and the number of people whom you want to gain access to certain, if not all, facilities in your building. Those who come uninvited or are strangers in your business will need to seek your permission first before he will be able to get inside. Now, you can even avoid the people that you do not want to see or have no official business coming to your office. Codes – You can assign as many codes to the program as many you prefer or need. You can also remove codes used by employees who just resigned. You can also add new codes for new workers. Delivery of premium locksmith services is our objective; offering the highest possible level of security to homes and business is our primary goal. We believe that every home or organization requires safety – with all the people and valuables inside it. We have been operating as a locksmith company for a longer period of time already. We have secured our place in the industry, being one of the most trusted locksmith companies. We never fail to satisfy our customers with our high quality locksmith services. We never fail to make them feel at ease, talking with us and discussing with us their fears – what with the continuing increase in crime rates – and their many concerns: Is our home well secure? How do we update our security system? Is it expensive? These are the kinds of questions that we often provide with pertinent answers. If you want to experience the type of service we give, give us a call at 7 Day Locksmith at (866) 306-8557 and our customer staff will attend to your needs. Expect all your questions to be answered with clarity. Our rates are reasonable; you can make comparisons to other locksmith companies to be sure. Our locksmith technicians are experts; we are certified and we have been providing services for a longer span of time. We install any kind of locks – from the simplest ones to the most complicated, from traditional to high security locks – like the electronic door locks. Lock installation and repair are our expertise. You may be wondering: How does an electric lock function? How can it lock and unlock doors without using keys? Can it really protect your home and business from burglars and thieves? The answer is this: It makes use of electricity. To you, this sounds amazing, but somehow worrisome because you are afraid that it can increase your energy consumption. Don’t worry; it only requires low voltage power supply. 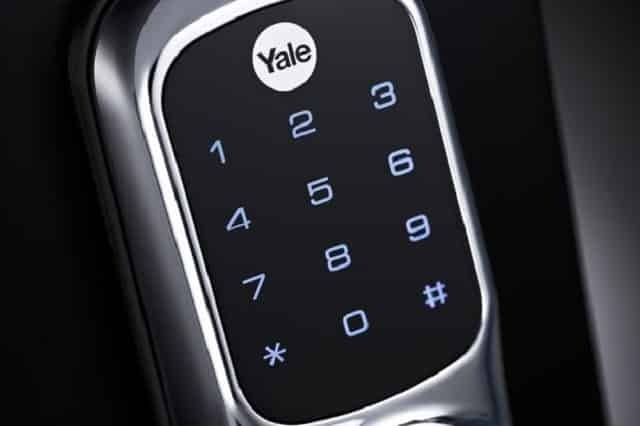 It also requires a reader, keypad or sensor to unlock it. 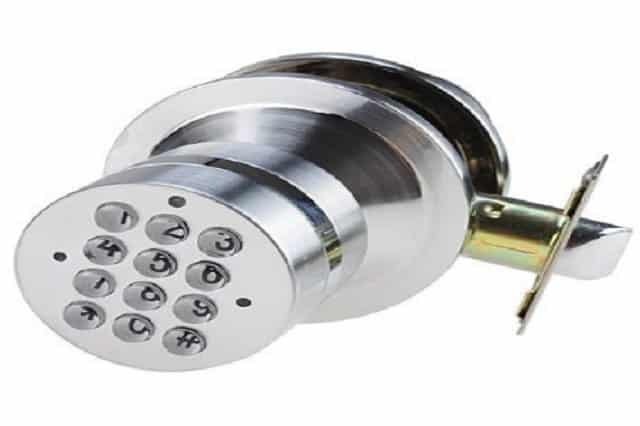 For instance, you are using an electronic keypad door lock San Diego. You key-in the numeric code then you hear a sound, telling you that the door is finally open. When you push or pull it, you realize that it is really unlocked. What happens then? Here’s what occurs: When you typed the code, you presented the program with data to read. It interpreted this data by comparing it to the access control list. When it found that the code is included in the list, the voltage is then generated through the closure of circuit. It subsequently powers the relay that then releases the lock to the door. Electric locks are sometimes standalone, meaning they are not linked to a network. They have their own programs inside. Most companies use it in places where they need high level of security. For small firms, product warehouse and accounting should be highly secured with these types of locks. For larger companies, these can be used in research and development sections, vaults or safes, warehouse or stock room, and others.